I have spent the better part of this past week collecting recipes for our Thanksgiving menu.... I've held onto last Wednesday's NYT Dining section and their guide for the "Essential Thanksgiving" (plus watch the video here of how to roast the perfect turkey) and checked in with some of my favorite food writers & bloggers for their must-make Thanksgiving dishes.... I made my visit to the Dekalb Farmers Market this morning to gather my ingredients (and spotted one of my favorite Atlanta chefs filling his cart), and so far, pretty excited about how this feast is going to turn out! 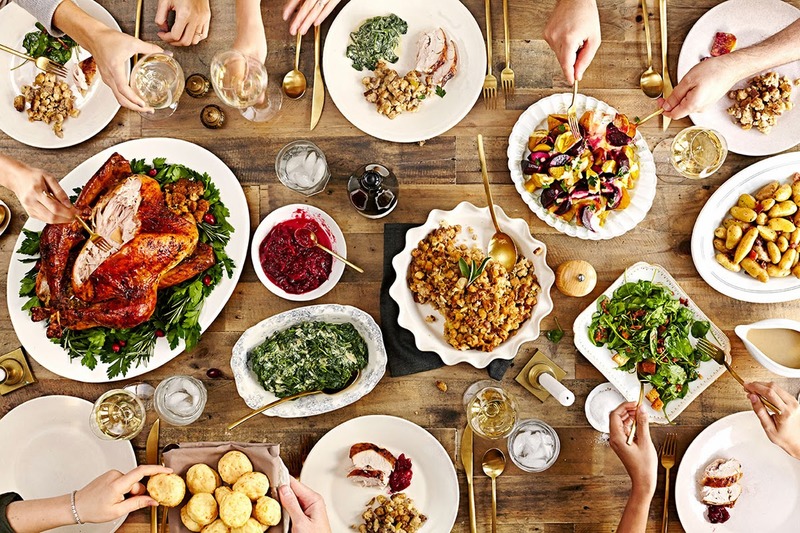 Included below are some inspiring & scrumptious (vegetarian options too) Thanksgiving recipes that I've got my eye on, crafted to fit a variety of entertaining needs -- down-home to fancy and/or intimate to feeding a full house.